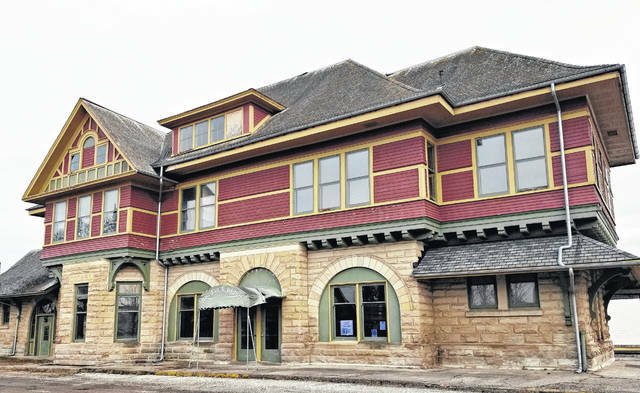 GALION — The City of Galion will hold a public meeting Thursday, April 12, to discuss the future of the Big Four Depot. The meeting will begin at 5:30 p.m. on the second floor of the city building, 301 Harding Way East. Representatives from Chambers, Murphy and Burge, an architecture firm, will share highlights of a master plan they have prepared. The consultants performed a physical assessment of the depot in December and has since been preparing a report which details all building systems, identifies and phases the priority rehabilitation work, and provides cost estimates. The master plan was funded by a Certified Local Government grant of $5,670 through the Ohio Historic Preservation Office, with additional costs paid for by the City of Galion. The goal of this project was to develop a master plan as a first step in rehabilitating the depot. City officials will provide details on how themaster plan will be used for future fundraising efforts, grant applications and development of construction plans. The Big Four Depot is a 118-year-old building that served as division headquarters for the Cleveland, Chicago, Cincinnati and St. Louis Railroad. Rail operations ceased in 1969 and the depot went through several uses over the decades before the City of Galion purchased it in 2000. It is listed on the National Register of Historic Places and also has an Ohio Historical Marker. Chambers, Murphy and Burge is based in Akron and is a studio of Perspectus Architecture. The city selected the firm based on its experience with historic buildings. including other rail depots. As per the grant requirements, the consultant meets the Secretary of the Interior’s Standards for Historic Preservation. For more information, visit www.cmb.perspectusarch.com. Courtesy photo The City of Galion will hold a public meeting on Thursday, April 12, to discuss the future of the Big Four Depot. The meeting will begin at 5:30 p.m. on the second floor of the City Building. https://www.galioninquirer.com/wp-content/uploads/sites/38/2018/04/web1_20180220_163734.jpgCourtesy photo The City of Galion will hold a public meeting on Thursday, April 12, to discuss the future of the Big Four Depot. The meeting will begin at 5:30 p.m. on the second floor of the City Building. This project was made possible in part by a grant from the National Park Service, U.S. Department of the Interior administered by the State Historic Preservation Office of the Ohio History Connection. Department of the Interior regulations prohibit unlawful discrimination in departmental federally assisted programs on the basis of race, color, national origin, age or disability. Any person who believes he or she has been discriminated against in any program, activity, or facility operated by a recipient of Federal assistance should write to: Office of Equal Opportunity, U.S. Department of the Interior, National Park Service, 1849 C. Street, N.W. Washington, D.C. 20240.